In September, students at Nelson Elementary learned about Citizenship. 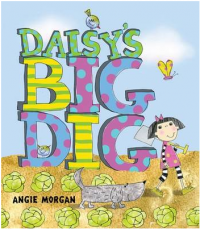 In our class, we read Daisy’s Big Dig and discovered how one person can bring a community together and make such a positive difference within a neighbourhood. Students also learned about being bucket fillers and bucket dippers. They created a list of traits for bucket filling and bucket dipping. Throughout the year, students will collect stickers and fill their own buckets when they demonstrate good citizenship. We hope to create a positive classroom environment where students feel valued, safe and respected.